Most mold formations in houses are commonplace, and you’d usually find them in the moistest or dampest/warmest rooms—the bathroom, the kitchen, the basement. However, it is most likely probable that the mold you’re seeing is only the tip of the iceberg—the real harmful and blossoming mold formations are hidden within your walls, in your pipes and under your basement. Mold testing will help you determine where, how much, and what type of molds have spread in your house. This activity can usually be done by you, if you have a mold testing kit or petri dish to do the testing yourself. However, professional services from us are still preferred by most and definitely advisable, since we employ the newest technologies in mold testing. The tests we do will not only determine the exact location of the mold, but will also find out whether the type of molds that have formed in your house are extremely harmful, and should be removed right away. 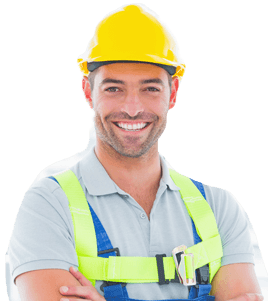 Additionally, we’ll also be able to determine whether there’s any left behind mold or spore formation after a mold removal service. 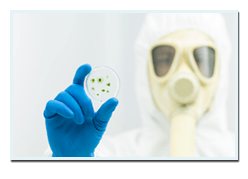 For mold testing, we do air, surface, bulk, and culture testing. 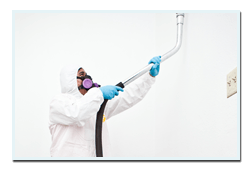 Air testing involves taking samples of air inside a house, to see whether there are any mold or spore formations that are invisible to the naked eye. Surface testing, on the other hand, involves testing a surface or part of a house using swabs or tape. The samples collected in this method will be taken to the lab for examination. Bulk testing requires actual materials taken from a house—that is presumed to be infected by mold—to a laboratory for testing. Culture tests are much more elaborate and sophisticated, and involves growing live mold in labs to fully examine the mold colony formations. 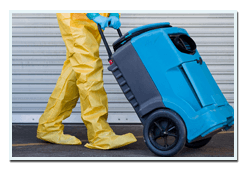 If you have recently gotten a mold removal service, or would like our professional input before paying for one, call us now! Our mold testing services are in demand in the Bay Area for their reliability, affordability and validity.